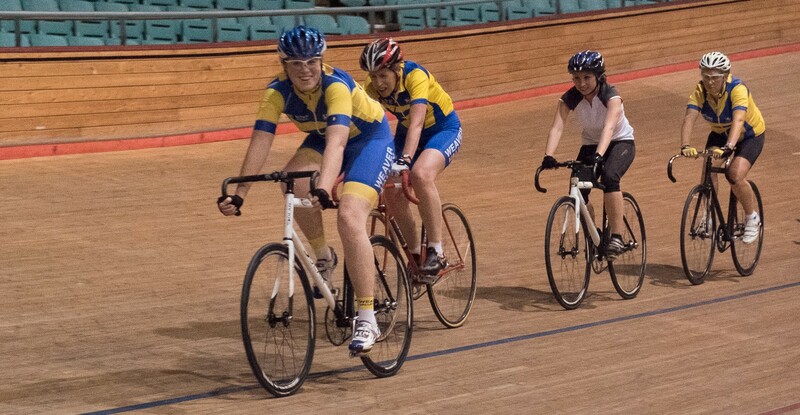 The ladies looking as though they are having far too much fun, including track first timer Lucy, who said that she really enjoyed her first track session. 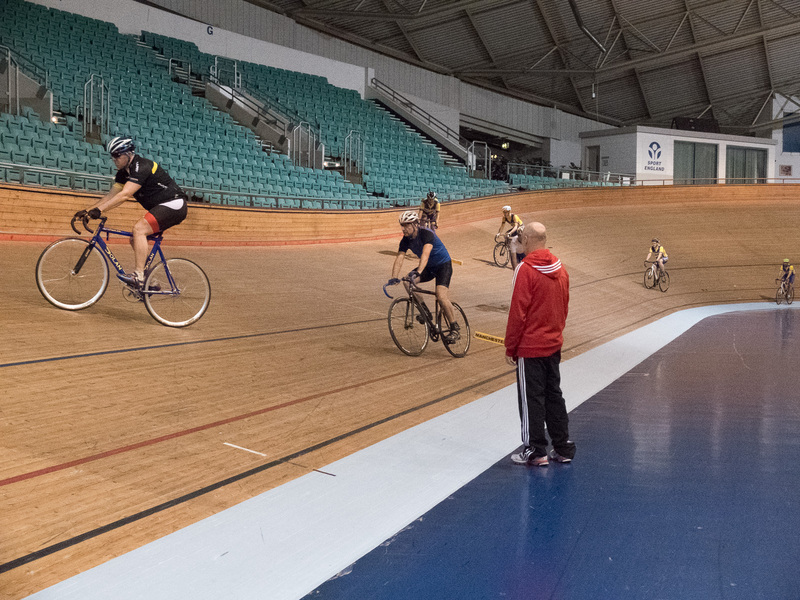 The third track night saw 20 eager participants brave the traffic and rain to enjoy the warmth and shelter of the best track in the country, and the best track coach to lead us through an excellent training session. There was something tonight for all abilities, with a good warm up session that had us all well exercised and in need of drink(! ), to a standing 1 lap time trial, with some impressive times posted below. 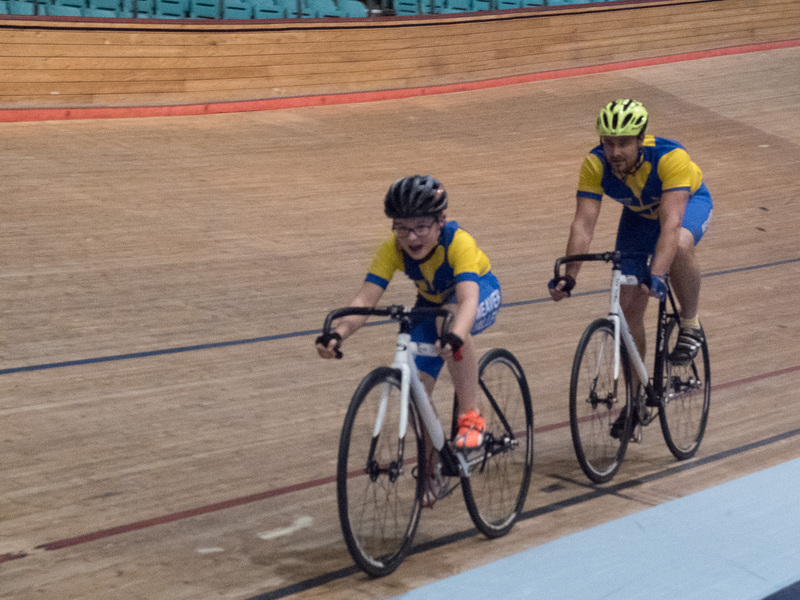 We then went through skills and team pursuit sessions, and a road pursuit session, which consisted of similar level groups being set off to chase each other group member down, meaning that you had to drop off the track if caught. Exhausting, but good fun! Paul expertly guiding us through a track skills session. After a final cooling down session the evening was done, with some excellent training in the legs, and some great track skills learnt. If you haven’t done a track session before, I’d heartily recommend that you give one a try. If you are in the middle of your winter training, this is also a great way to get some structured coaching. We are very fortunate in having a a qualified British Cycling coach as a club member, who is willing to give up some of his evenings to coach us. Thanks must go to Paul for this, and to Steve for the organisation. More (slightly grainy!) images can be seen in the gallery section of the web site.